This Tuesday night we have a really exciting class about Fall Gardening and Cover Crops. It is from 6-8pm at the Agriplex Heritage Center. Extension Specialist Mike Reeves (from Reeves Orchards in Hartselle) and our Extension Agent Tony Glover will teach this class. They will cover which crops to plant now for a fall and winter garden. They will also talk about which plants to grow as cover crops in gardens- both small raised beds to large garden plots. 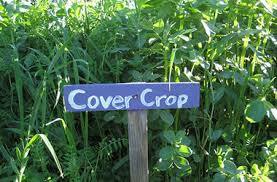 Cover crops fertilize your garden naturally, keep weeds away, and promote healthy soil. $5 per person, To register, 256-297-1044. We will give out door prizes and cover crops seeds.